The Centurion Electro Socks are a special selection of bespoke designed socks to make you stand out on the football, rugby and hockey field. Offered in a variety of bright vibrant designs. Elasticated turn over top eliminates the need for tie ups and can be worn under or over the knee. Elasticated ankle support helps support the ankle and hold the shin pad in place. A rosso flat toe seam gives added comfort. Fine knit enables extra stretch around the calf area. Padded sole gives added comfort. Micro mesh venting gives breathability. Elasticated foot support for a better fit. 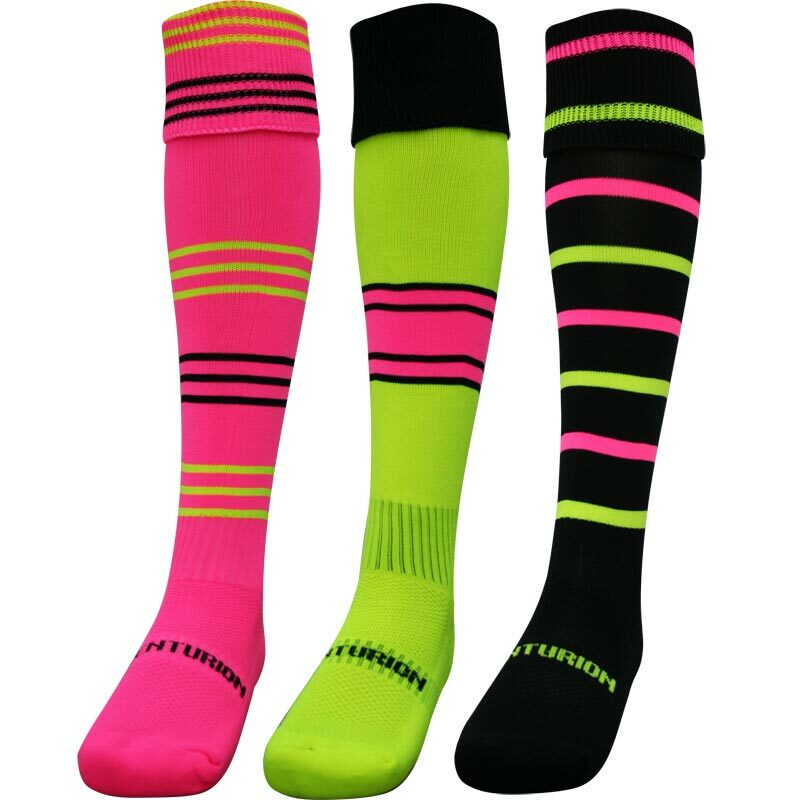 This socks are amazing the colour is really bright and they fit perfectly over under socks. They are made of really good material that is very stretchy. They have survived the wash and volume out good as new. you stand out wearing them making you a very watchable person on the rugby field . a musts for those that like to be on show!! These are lovely and bright which my nephew will love when playing rugby in the new year. Nice and thick and certainly long!